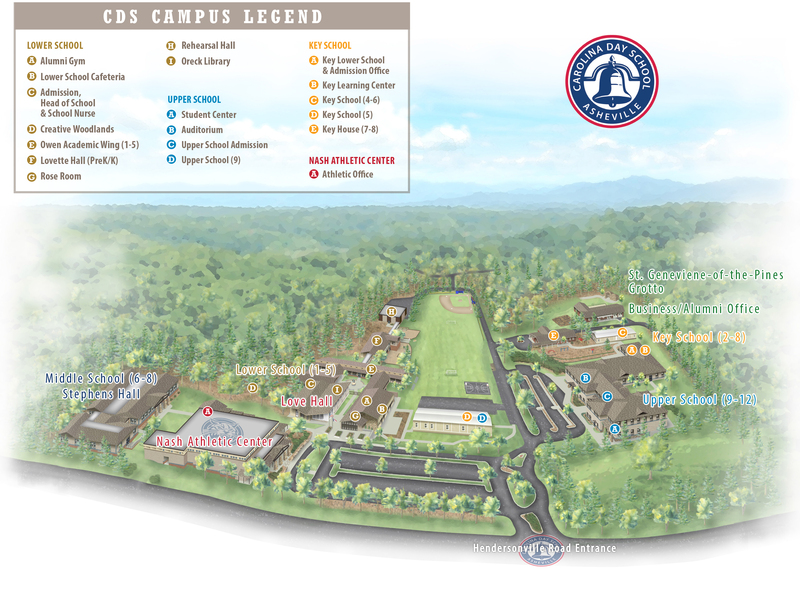 Carolina Day School is located in the heart of George Washington Vanderbilt's original forest, just a few miles from downtown Asheville, North Carolina. The Admission office for Lower, Middle and Upper Schools is in our beautifully transformed Lower School. Please look for reserved parking for admission visitors in the lot in front of the Lower School Terrace. Key School's admission office is a short walk across campus; our team will guide you. We invite you to contact one of the members of our admission team to request information, schedule a tour or ask questions.